If you’re dealing with tooth loss, then Dr. Tillman may have already talked to you about the advantages of dental implants. 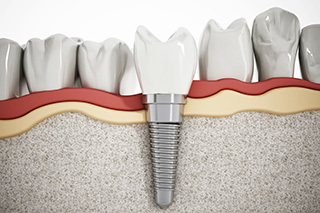 Now there is just one more question: What is the cost of dental implants in Forth Worth? On average, a single dental implant will cost between $1500 and $2000. But don’t base your decision on the price tag only. There are other factors to consider. People that wear dentures or a bridge will eventually need to repair and replace these removable prosthetics. That’s because they rest on your gum ridge, which changes shape over the years. 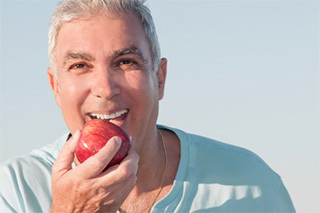 Dental implants, on the other hand, can last for decades. In fact, you can have a dental implant for the rest of your life if you brush and floss daily and attend regularly scheduled dental checkups every six months with your dentist in Fort Worth. 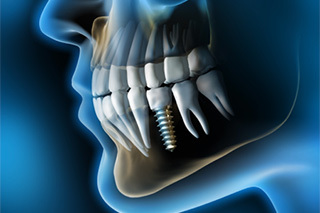 Hence, the cost of dental implants could be less in the long run when compared to other types of prosthetics that require continual maintenance and eventual replacement. Sometimes, preparatory dental work is needed before implants can be placed in your jaw. For example, you may have some teeth that need extraction. Also, bone and tissue graft surgeries may be required to strengthen your gums and jawbone so they are sturdy enough to hold dental implants in place. The fee for these procedures affects the total cost of your dental implants. If you have dental insurance, be sure to check the details of your benefits plan. There may be partial coverage for these types of procedures. Finally, the total cost of dental implants depends on the type of restoration you need. If you need to replace one missing tooth, a single dental crown typically runs between $500 and $1500. 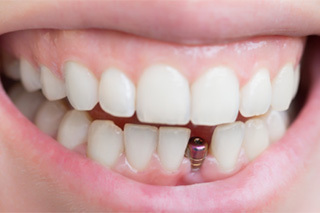 To replace several teeth in a row, a bridge costs between $3000 and $4000. And partial and full dentures are $2500 to $5000 or more. Once again, check you dental benefits. Partial coverage of a restoration may be provided.